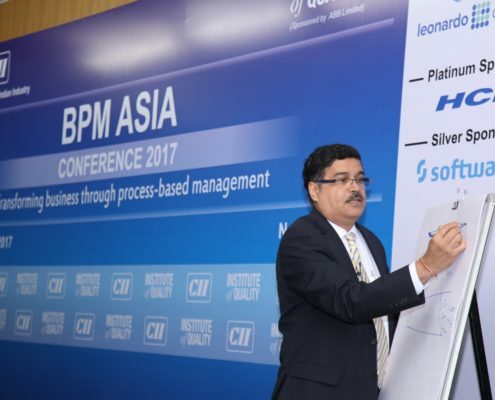 In BPM Asia platform brings to the table, international best practices, Indian and Asian case studies and a Masterclass on business process management leading to performance excellence. 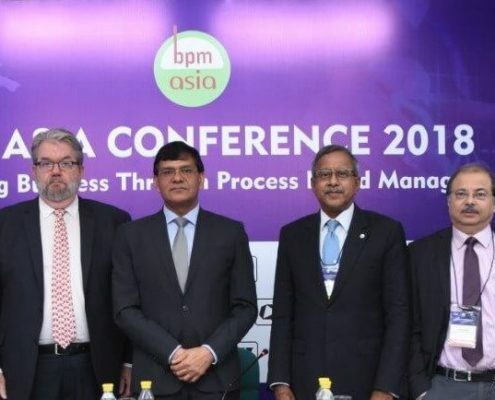 This year again, BPM Asia organizes the next series of BPM Asia conference 2019. 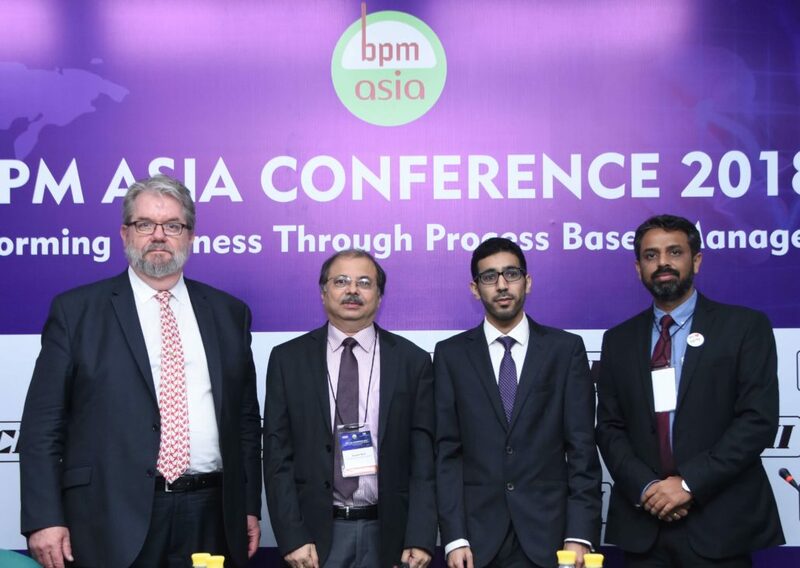 BPM Asia conference will provide a common platform to all delegates to discuss, learn and share business process management methodologies, best practices, industry trends, challenges, roadmap and many more. 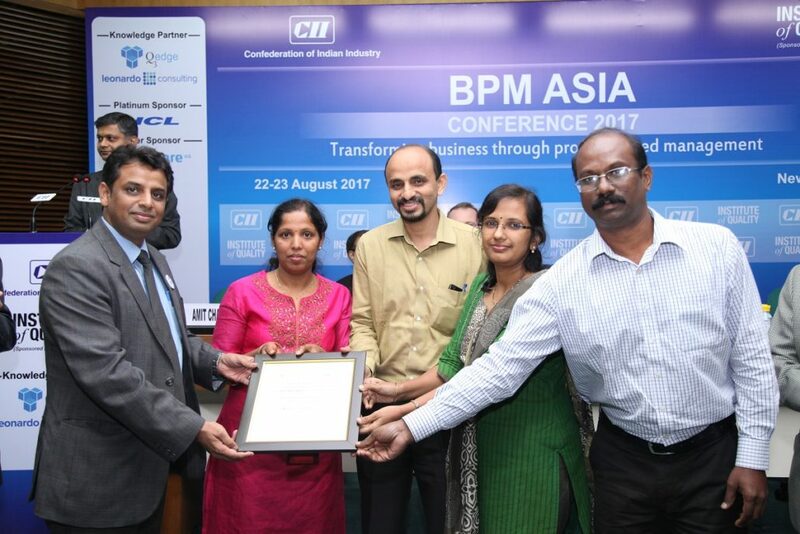 In addition, BPM Asia conference organizes the championship to recognize the best BPM approach and e the successful efforts of Asian organizations in developing BPM practices as a key part of strategic planning and operational execution. 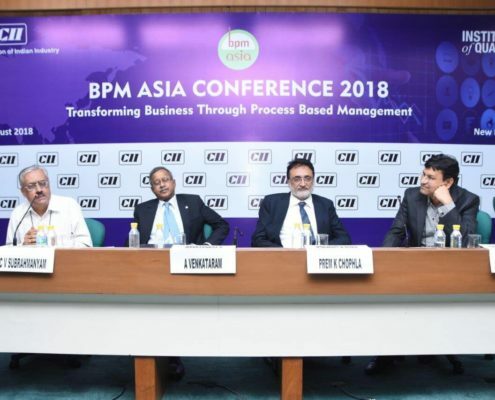 BPM Asia is a forum for sharing and learning on business process management (BPM), the way it is deployed and practiced by leading global organization. 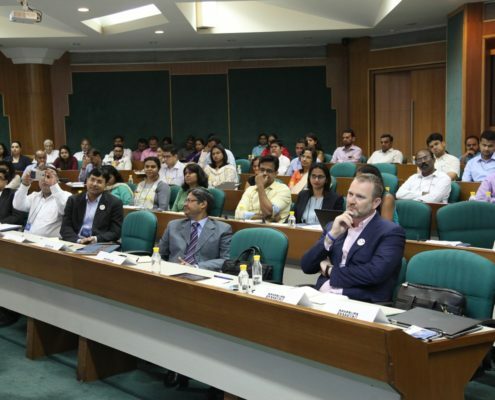 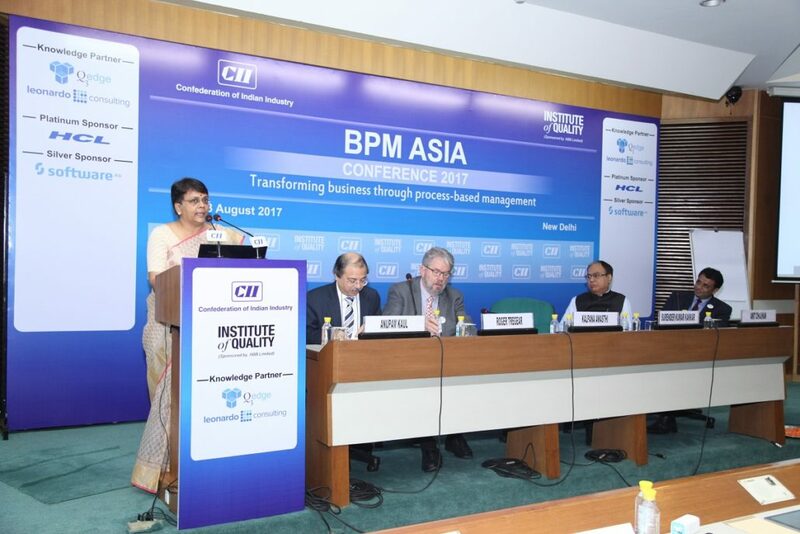 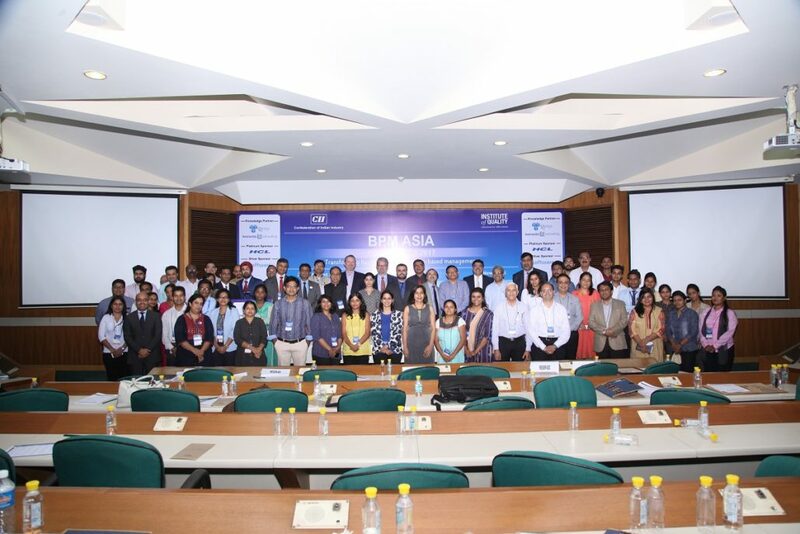 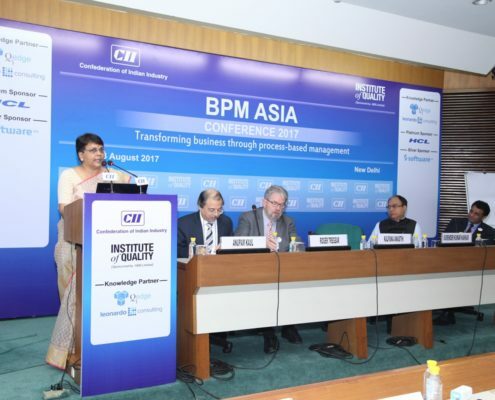 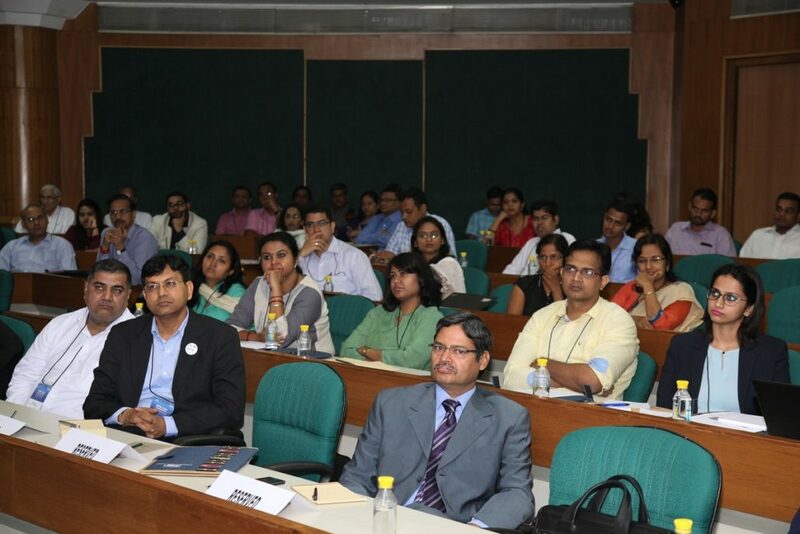 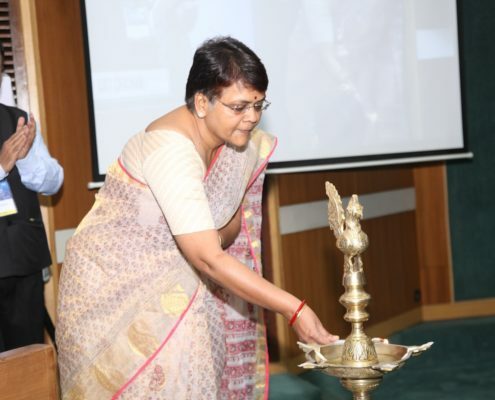 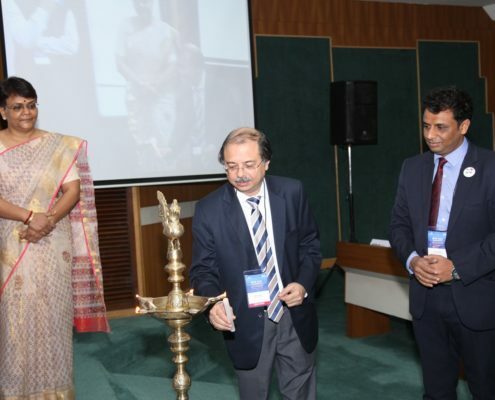 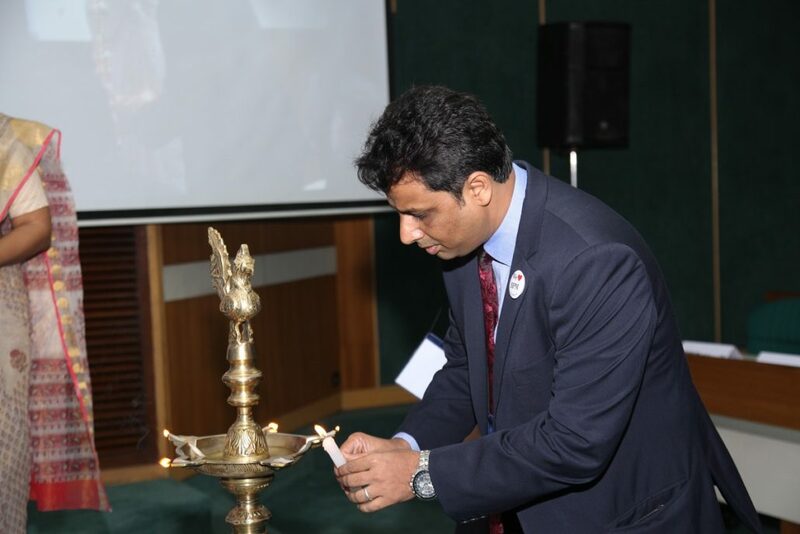 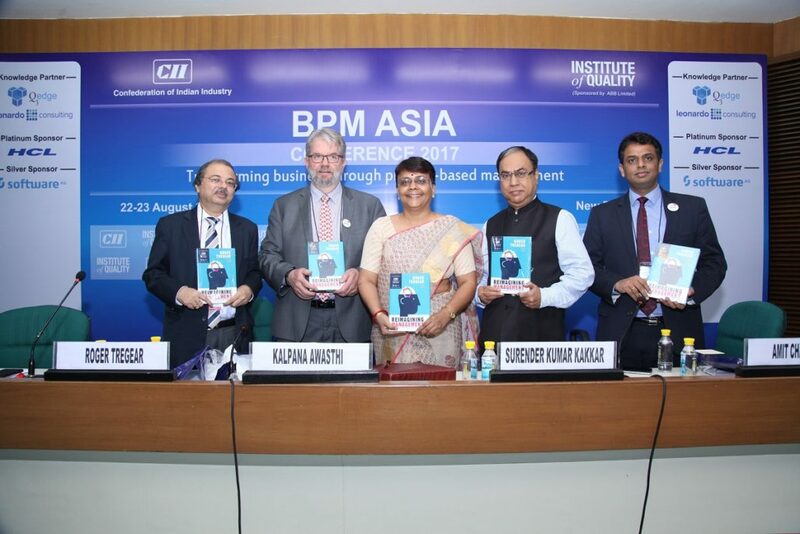 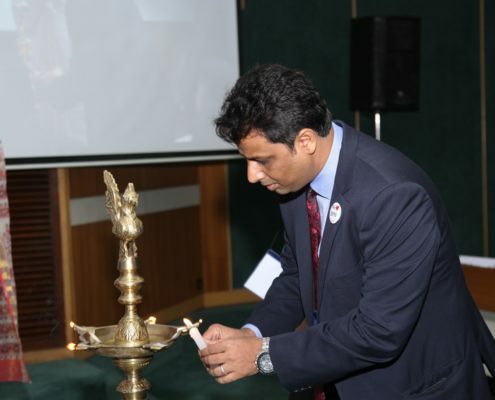 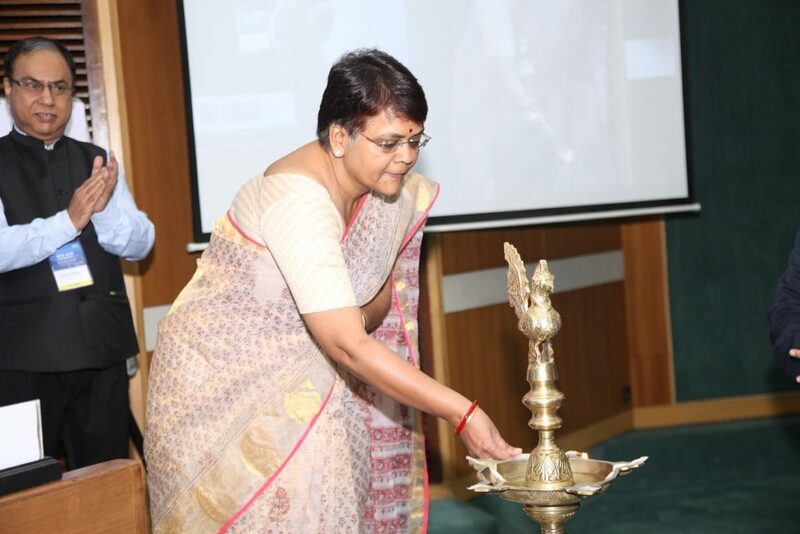 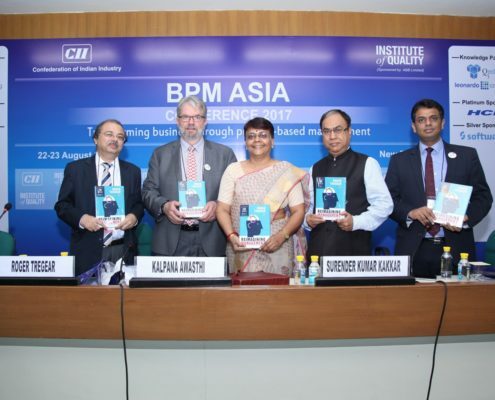 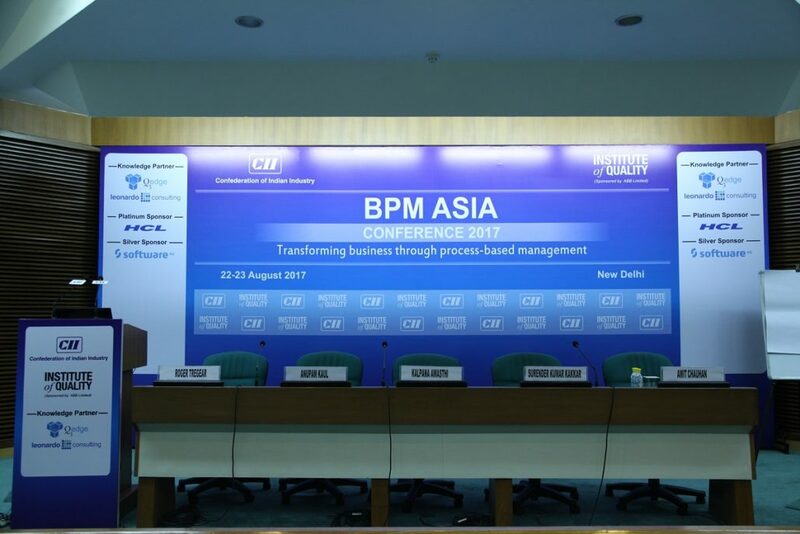 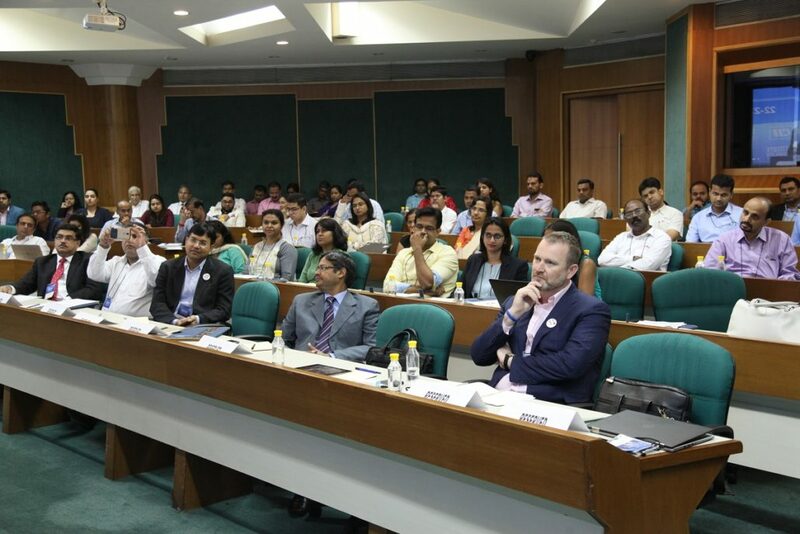 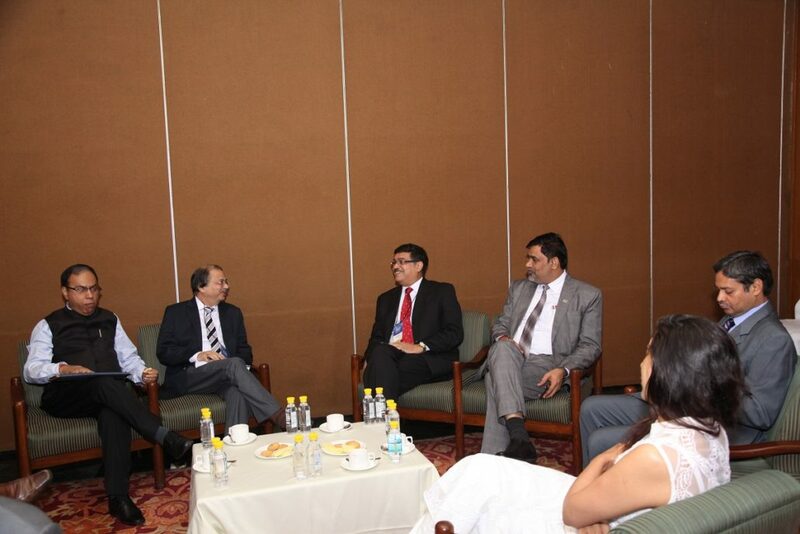 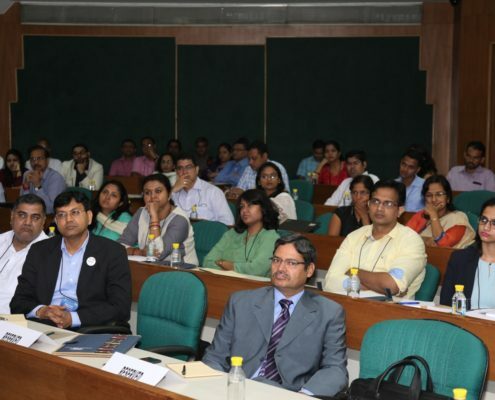 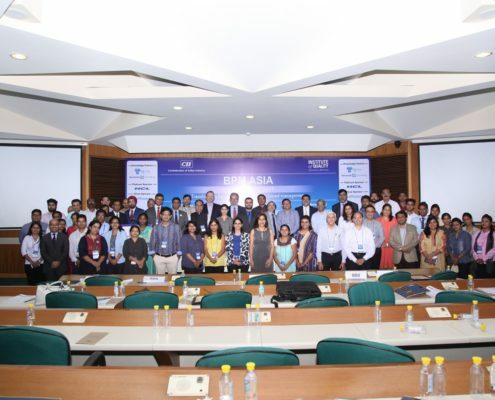 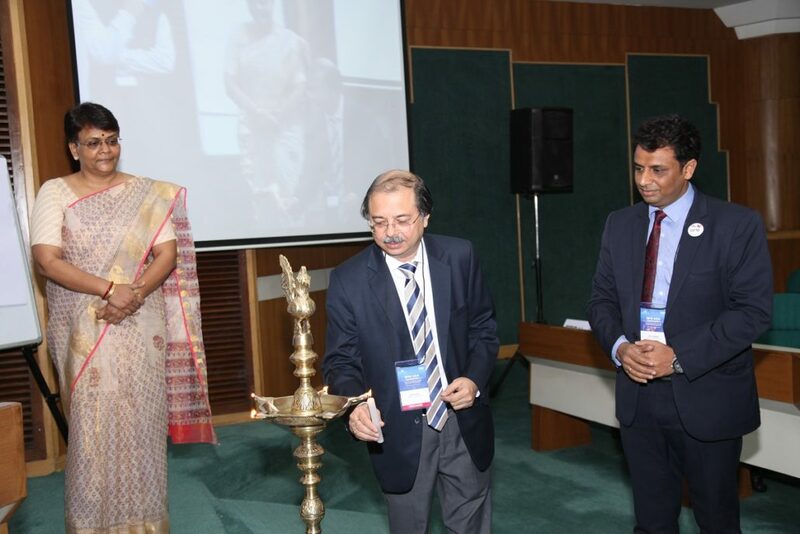 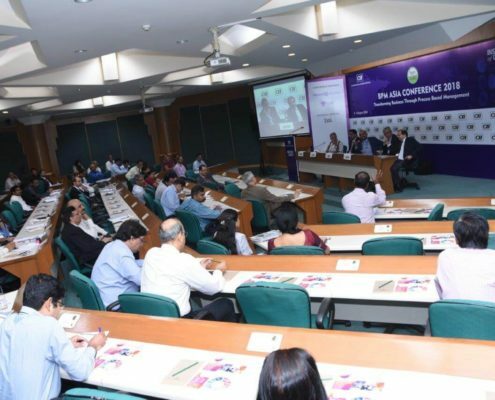 The BPM Asia group organized its first conference on August 22nd – 23rd, 2017 at India Habitat Centre, New Delhi. 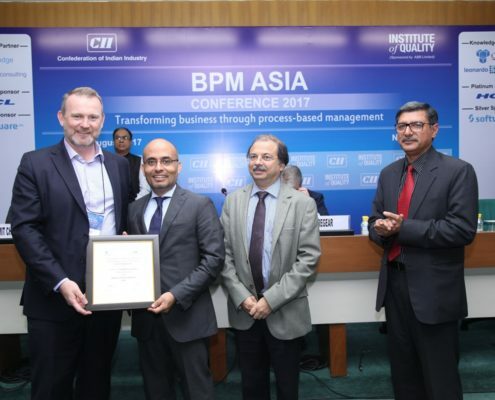 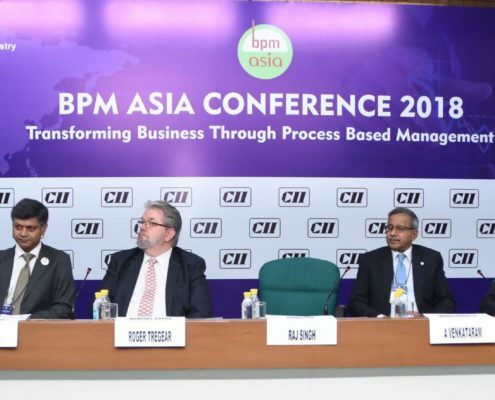 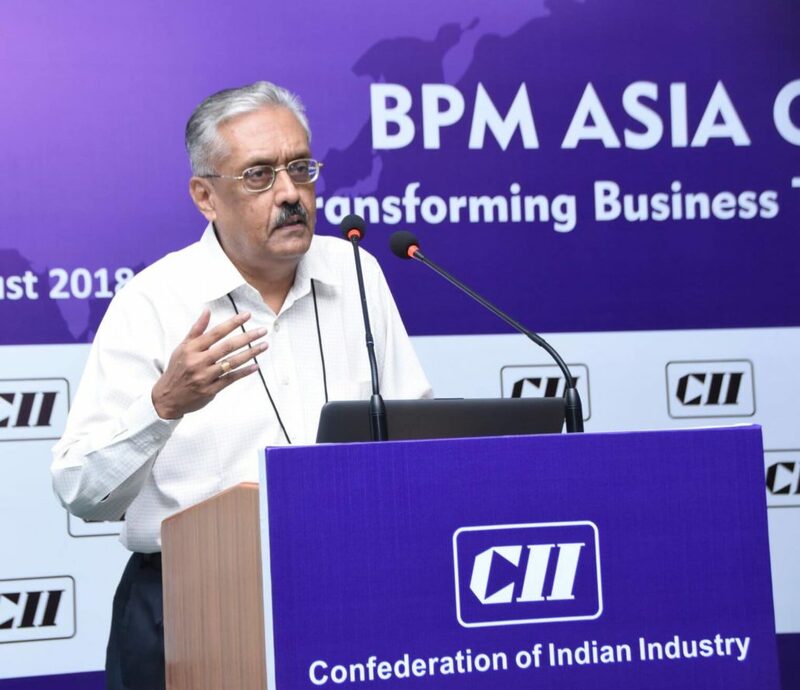 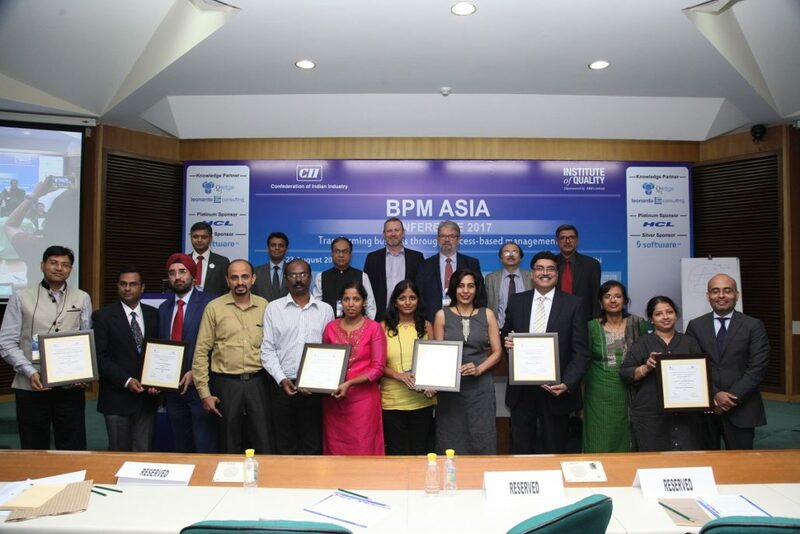 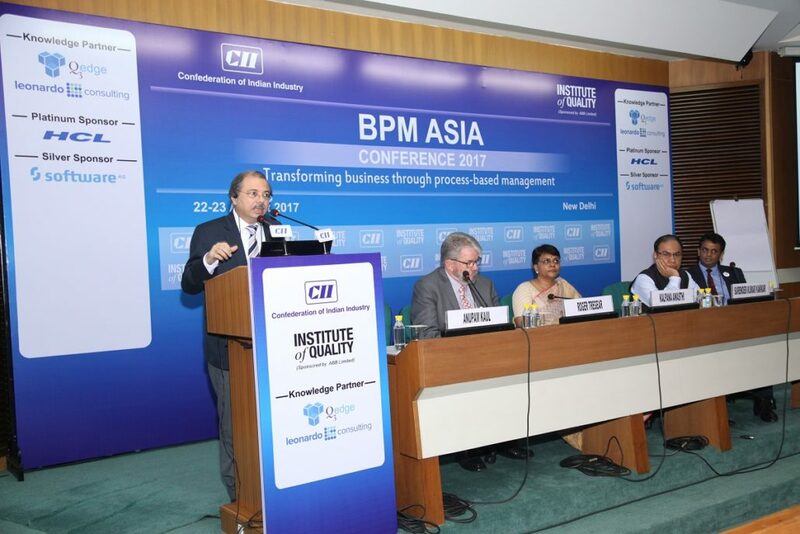 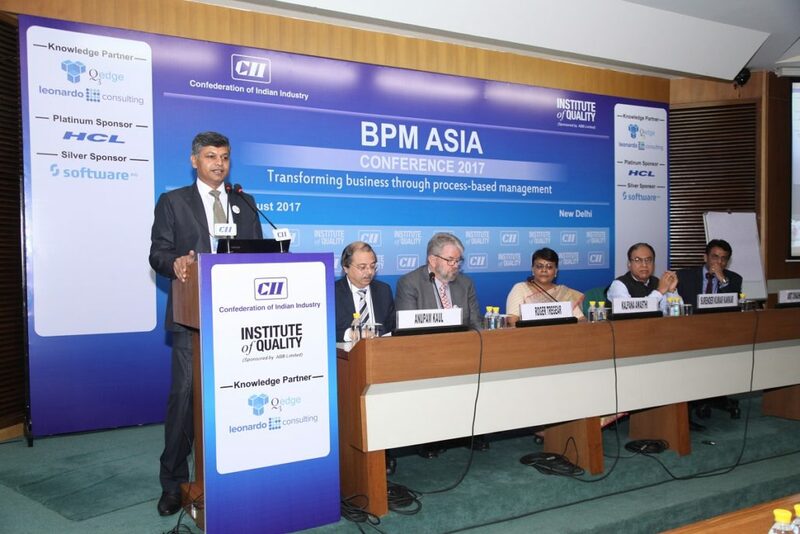 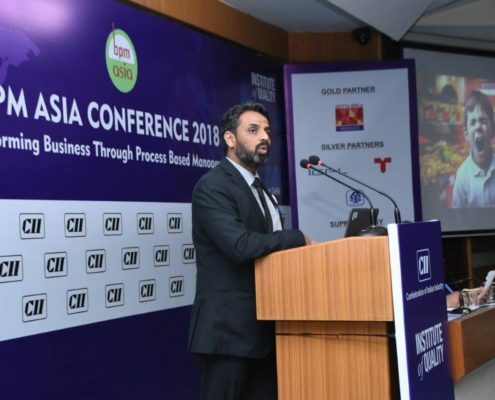 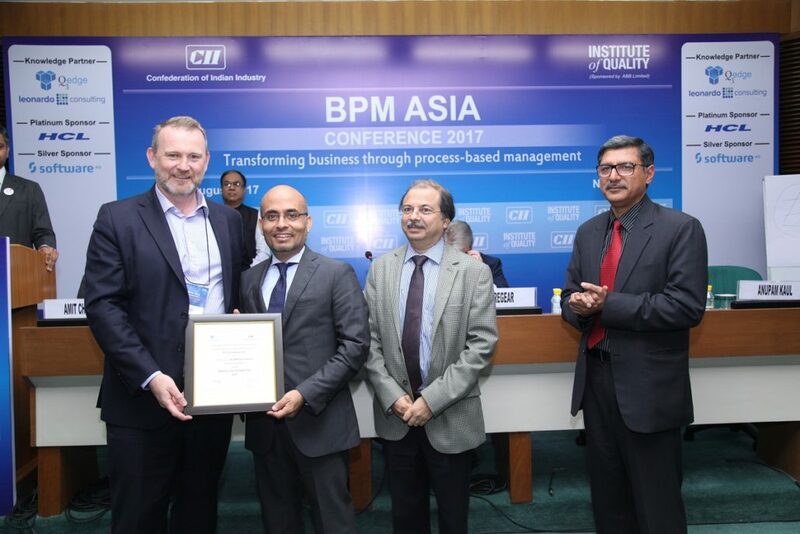 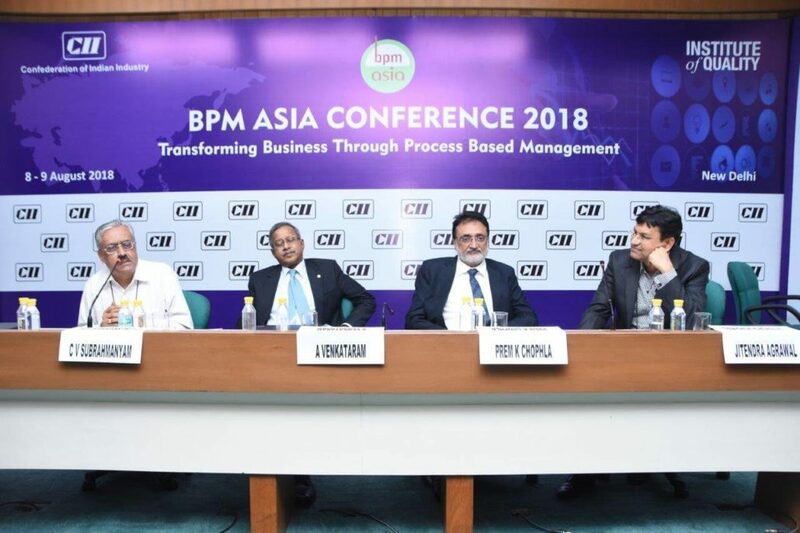 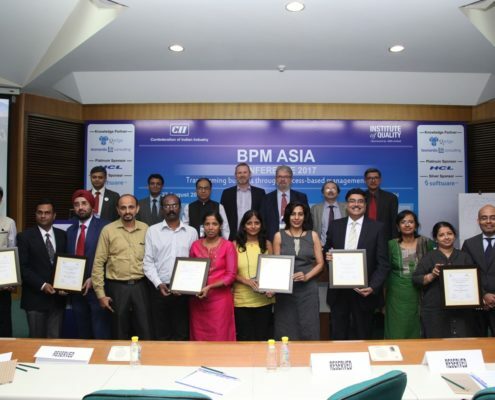 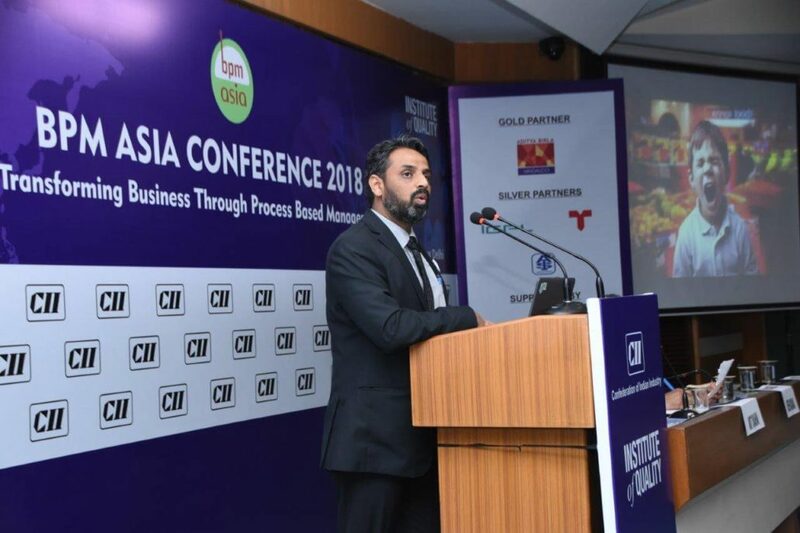 In BPM Asia Conference 2018, leading companies from India and Australia shared their best practices, challenges, road map and other key information about establishing Business Process Management successfully in their organizations. 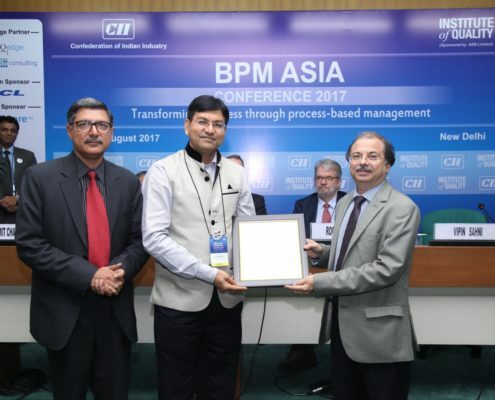 In BPM Asia conference 2018, India’s topmost companies participated in the championship award and won the prestigious BPM Asia Awards. 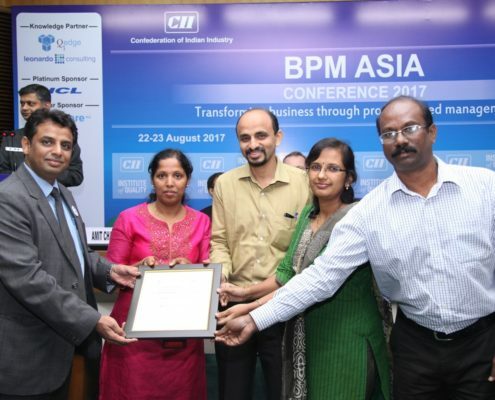 In this series, Tata Projects won the BPM Asia Star, Forties won the BPM Asia Master and Dail got the BPM Asia Achiever awards under the championship category of BPM Implementation at Organization Level. 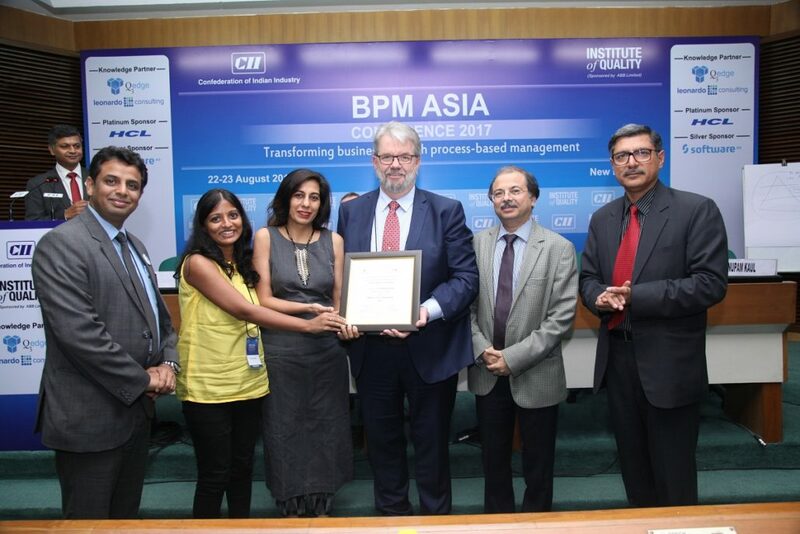 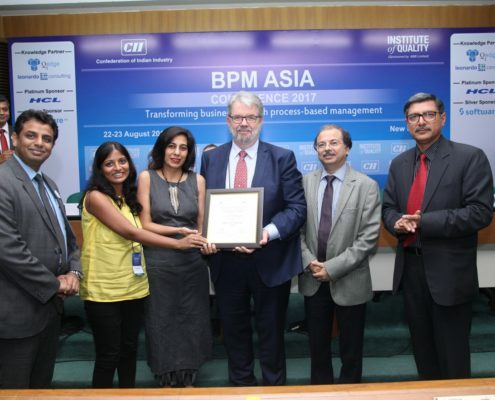 Whereas in the second category, BPM to improve specific capability, Godrej, Schlumberger and Hafele got the BPM Asia Star, BPM Asia Master and BPM Asia Achiever awards respectively. 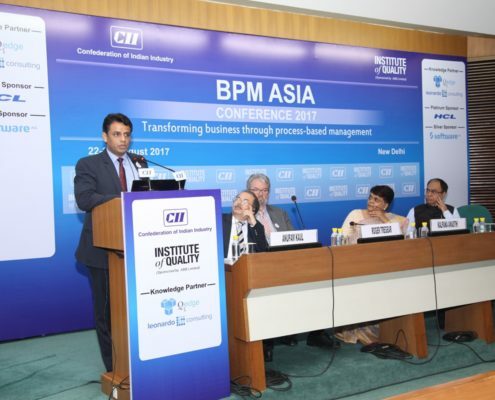 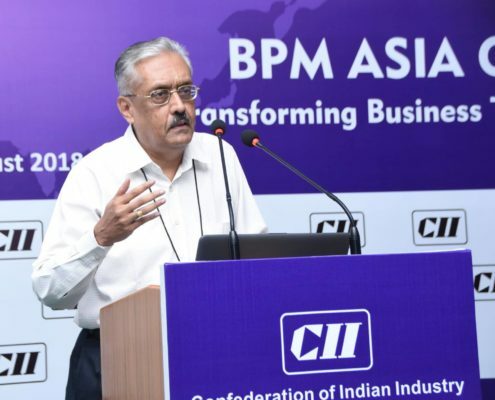 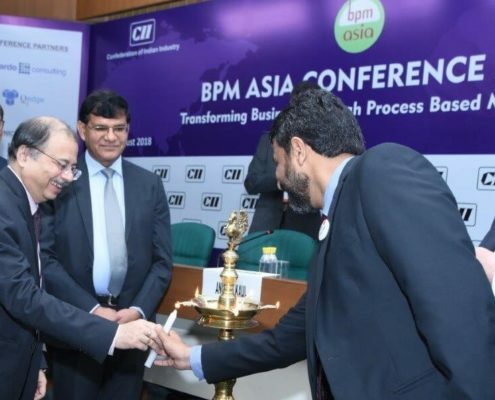 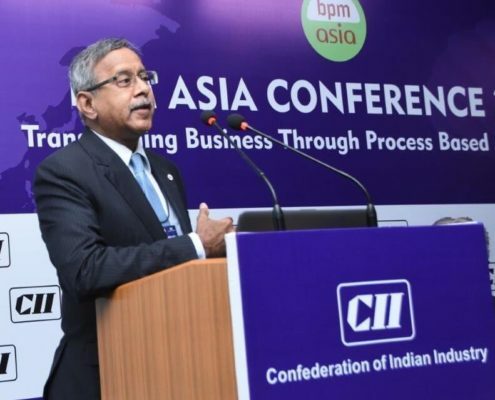 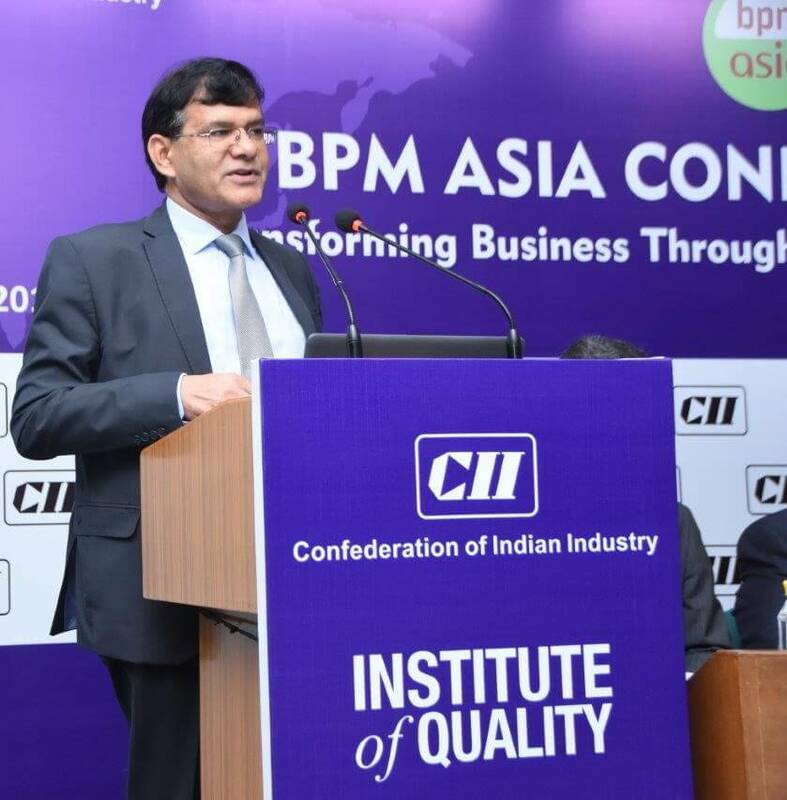 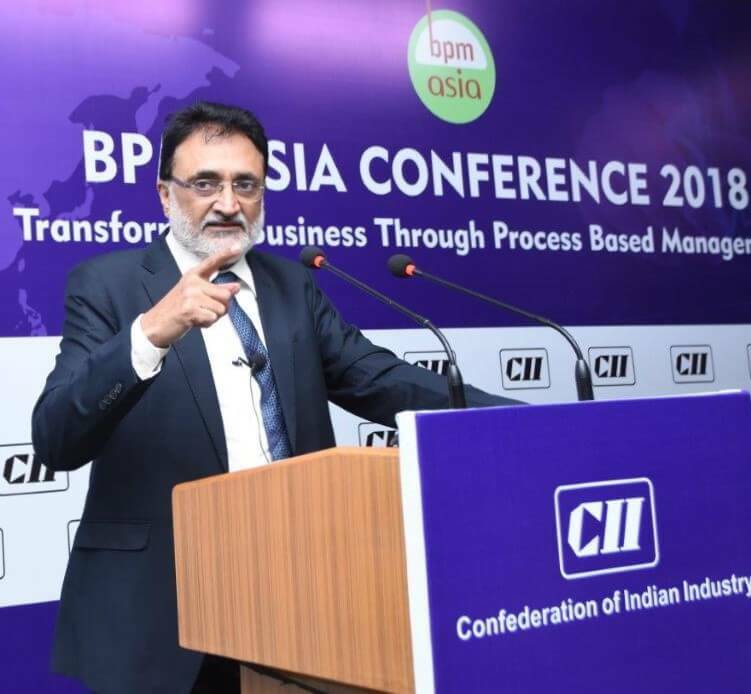 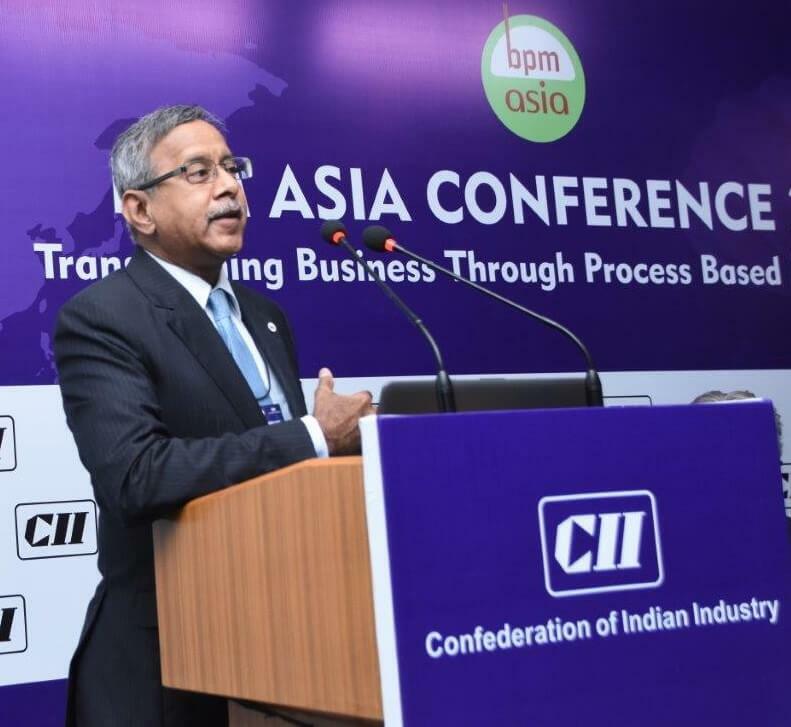 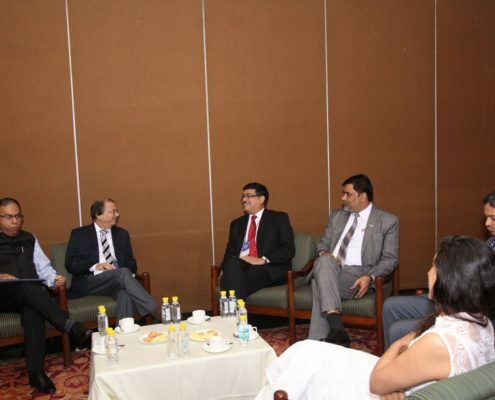 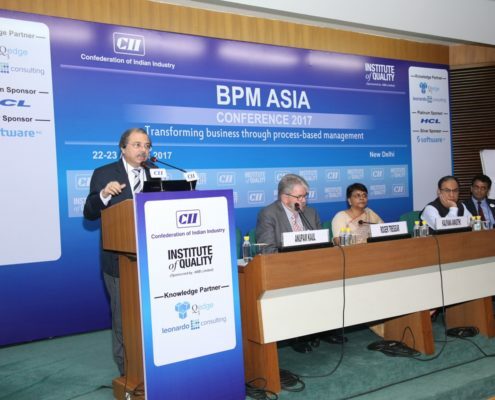 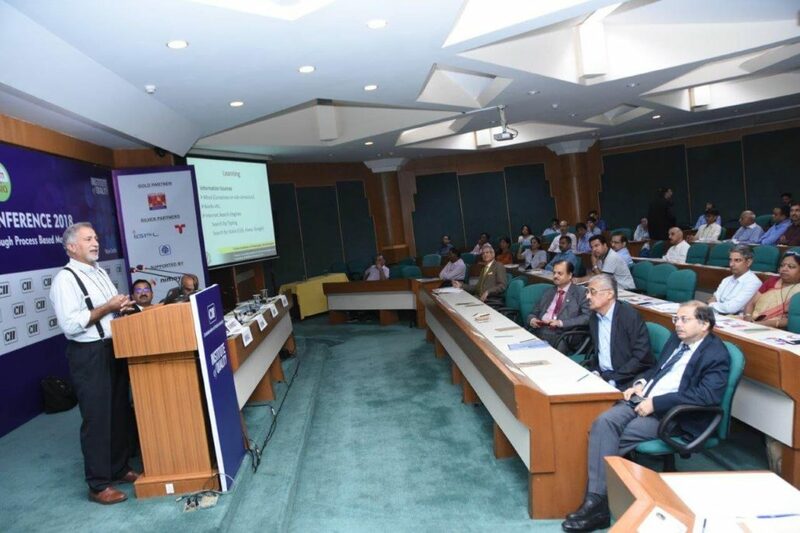 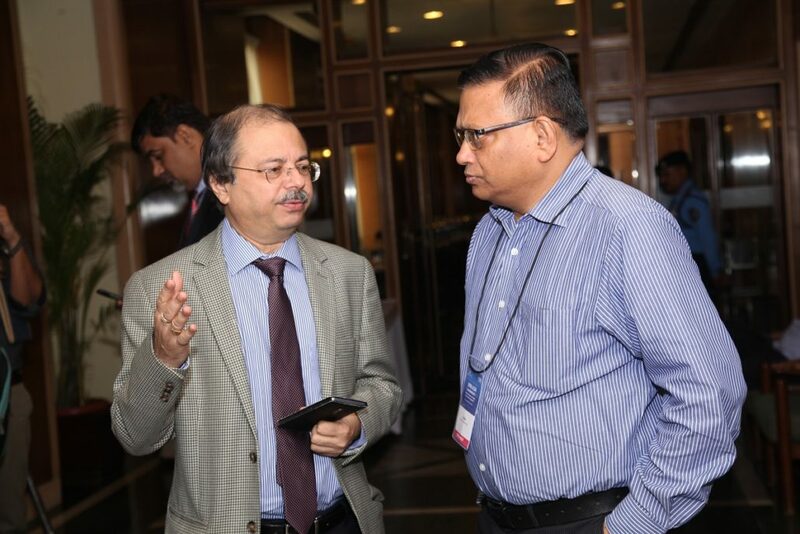 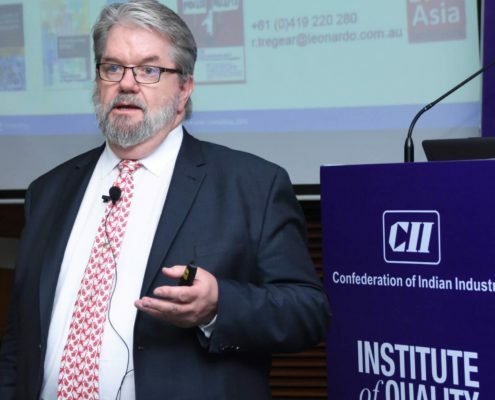 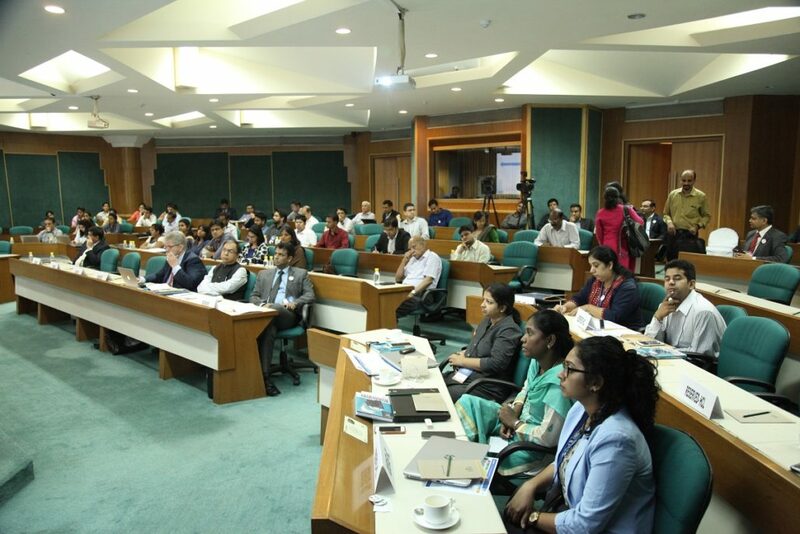 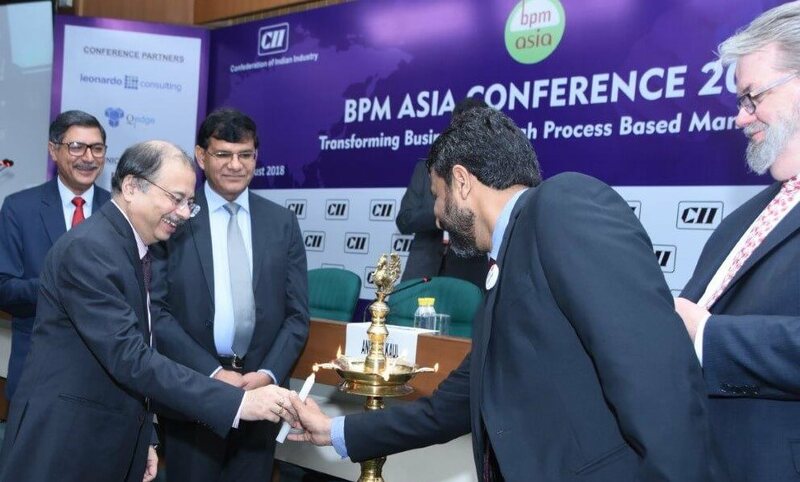 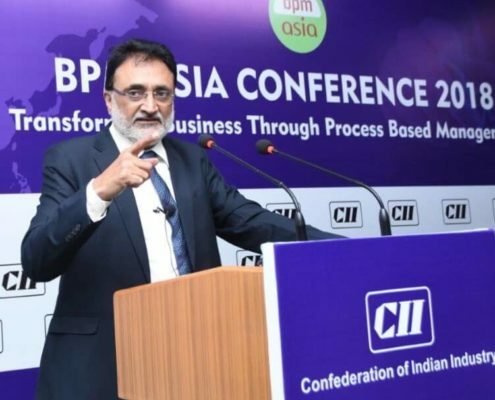 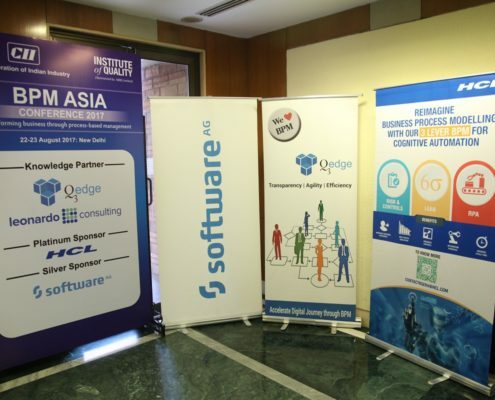 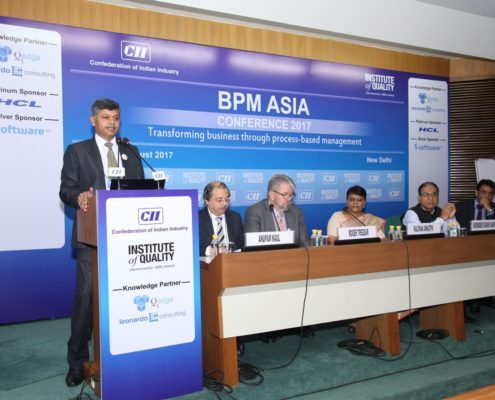 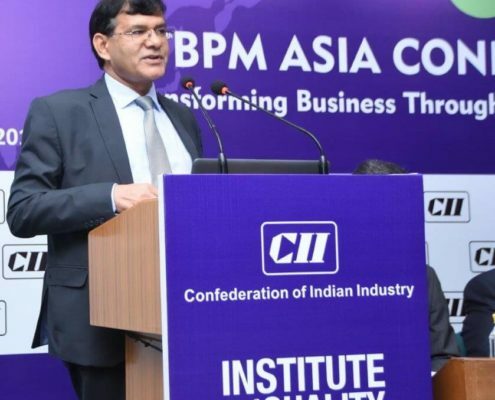 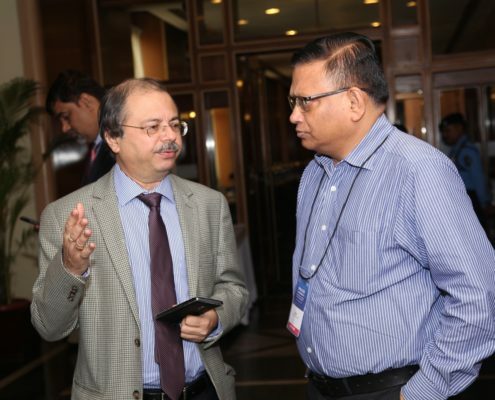 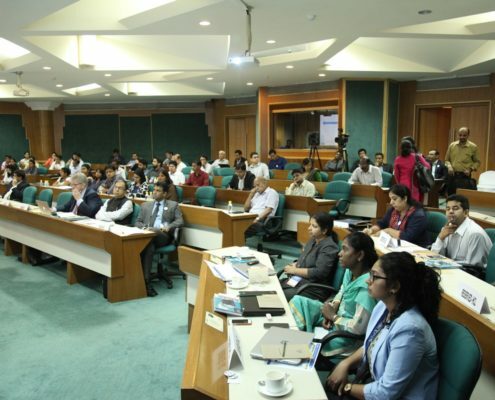 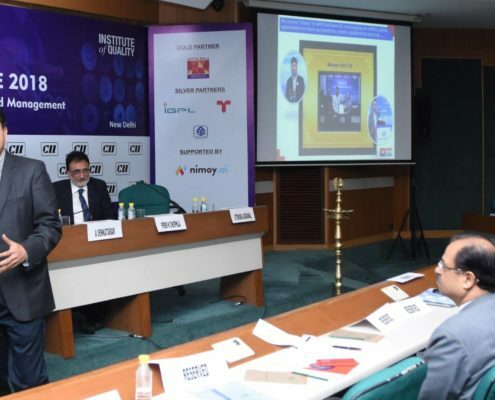 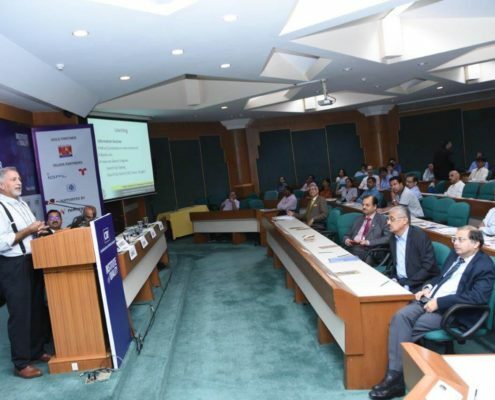 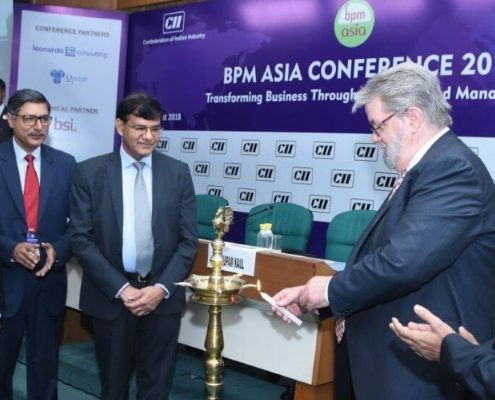 BPM Asia conference is conceptualized and established by Q3edge Consulting, India in association with Leonardo consulting under the flagship of India’s leading Confederation of Indian Industries (CII). 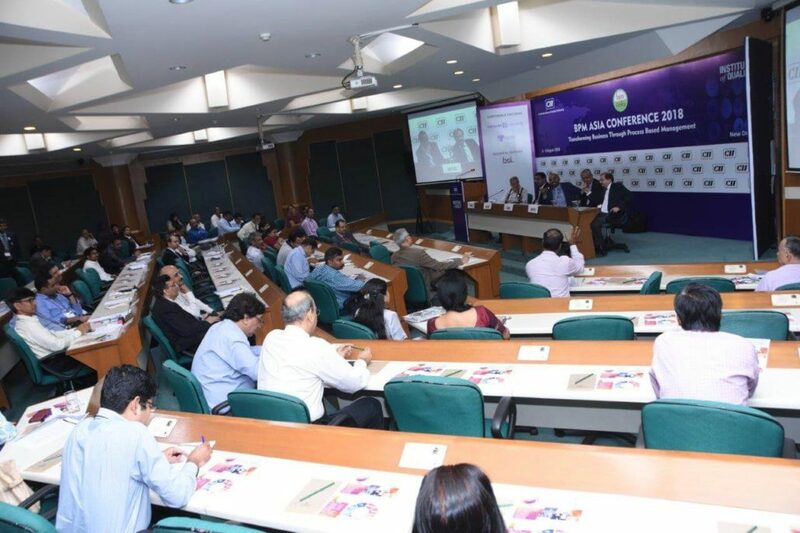 We bring professionals on one platform to exchange business ideas, leads, share knowledge. 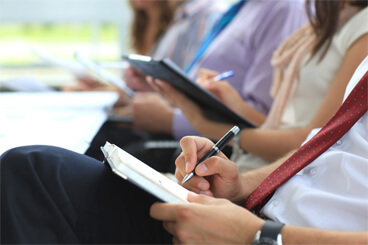 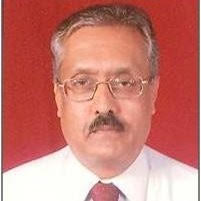 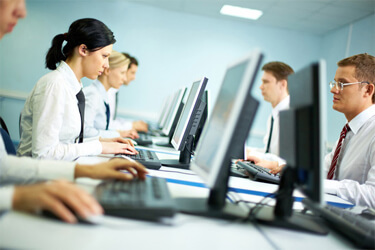 We work on Business Process Management & Quality Processes. 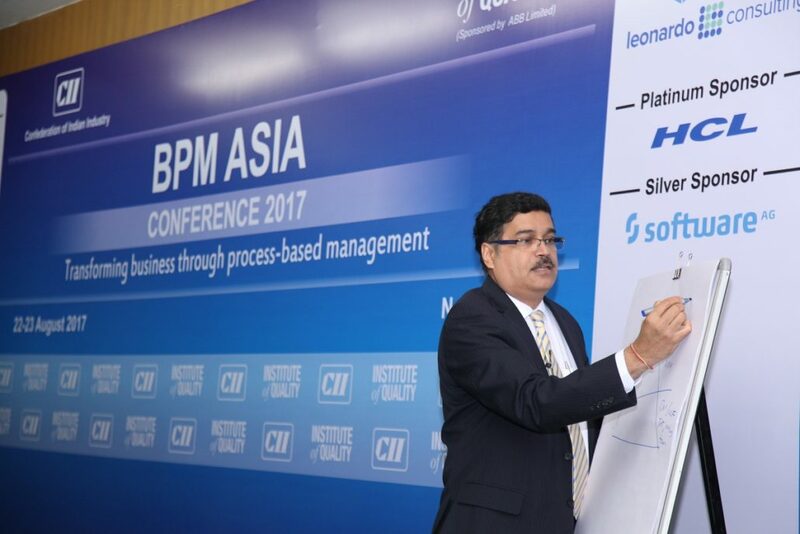 The BPM Asia Conference is a great opportunity for companies to present their products, services, and solutions to the industry experts. 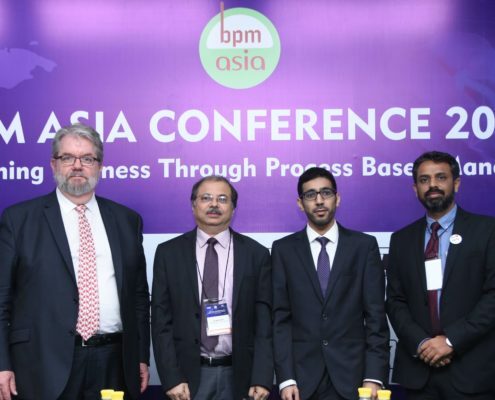 BPM Asia conference will provide a common platform to all delegates to discuss, learn and share business process management methodologies, best practices, industry trends, challenges, roadmap and many more. 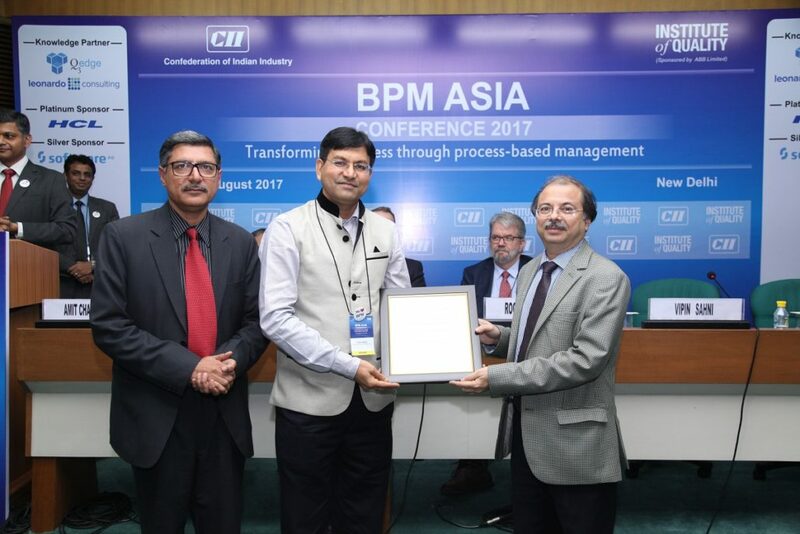 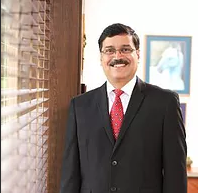 The Championship is intended to recognize the best BPM practices adopted by Asian companies and how their efforts have to lead to business transformation. 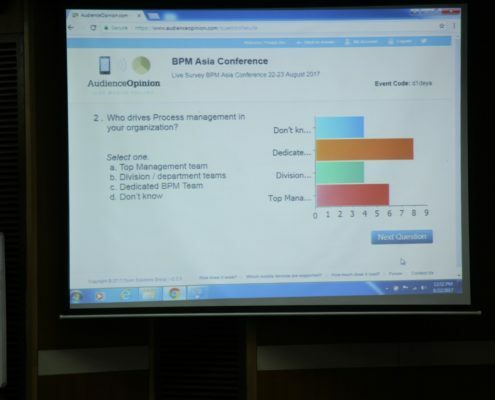 Submit your case study to participate in BPM Asia Star championship. 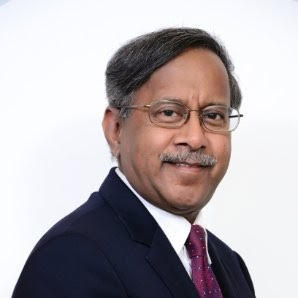 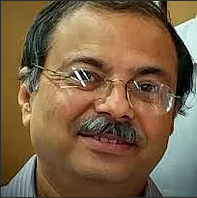 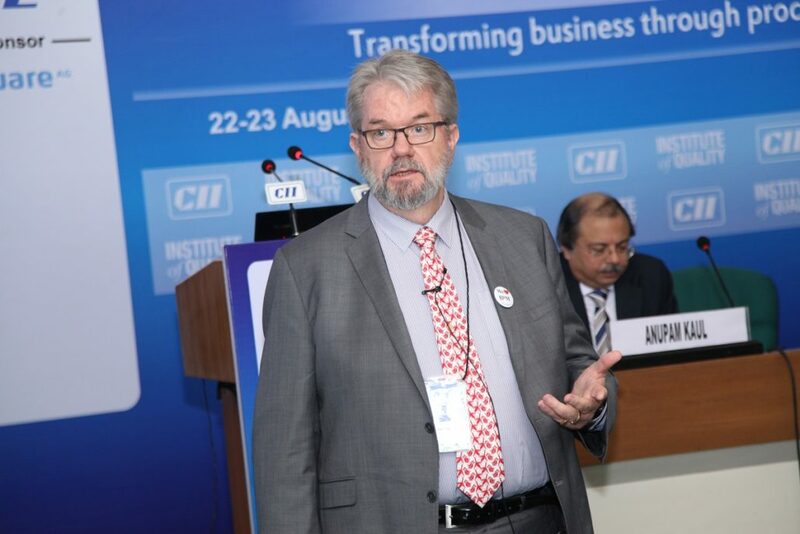 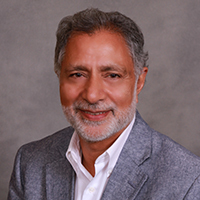 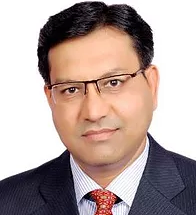 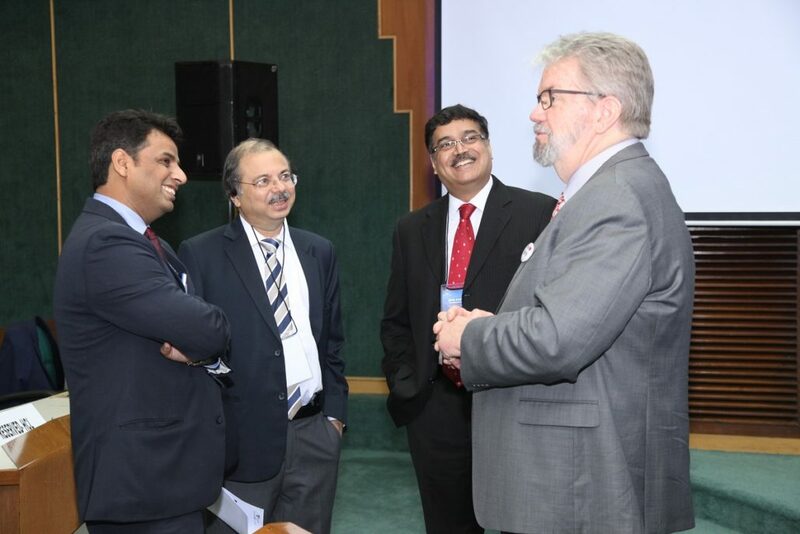 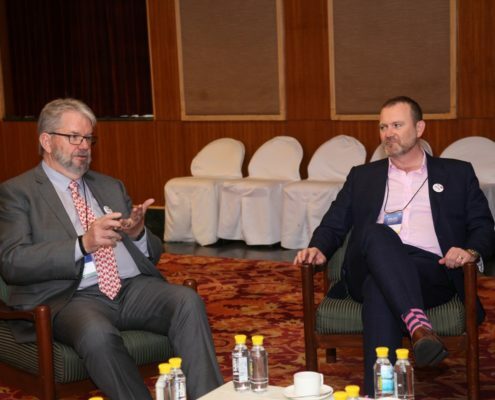 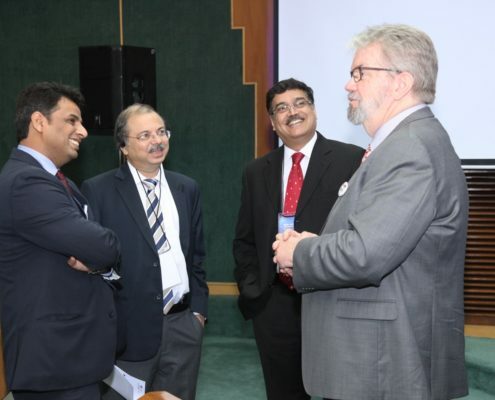 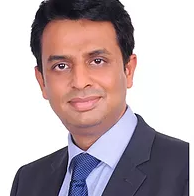 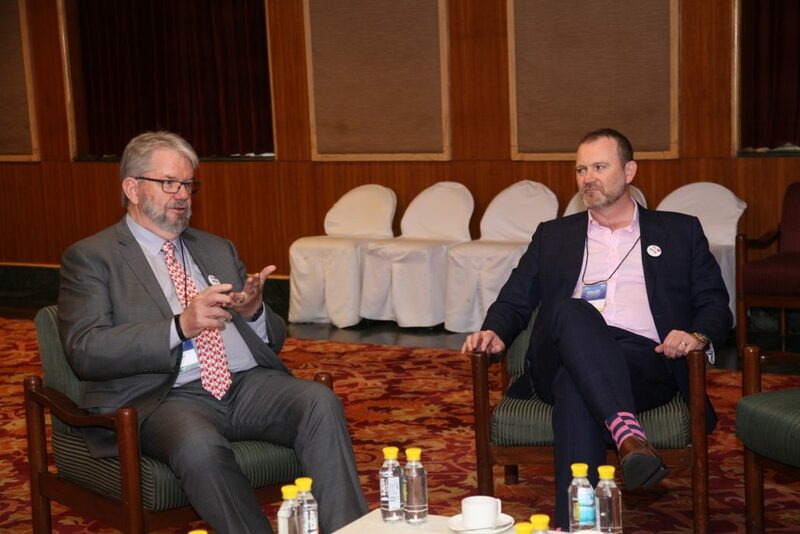 The Conference would be anchored and led by Mr. Roger Tregear, BPM Guru, and evangelist who has been championing the movement globally for more than two decades through his highly innovative 7 Enablers and Tregear Circles. 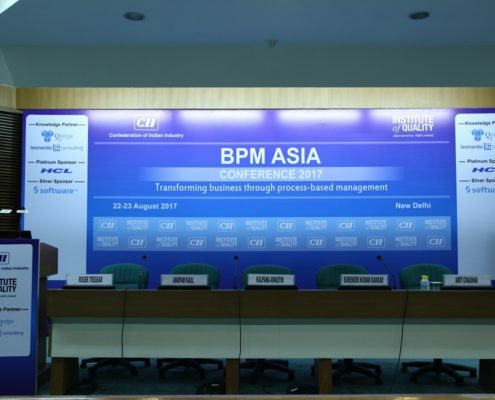 BPM Asia is a two days conference where companies will participate in the championship and/or as delegates to learn from the Industries experts on Business Process Management approach. 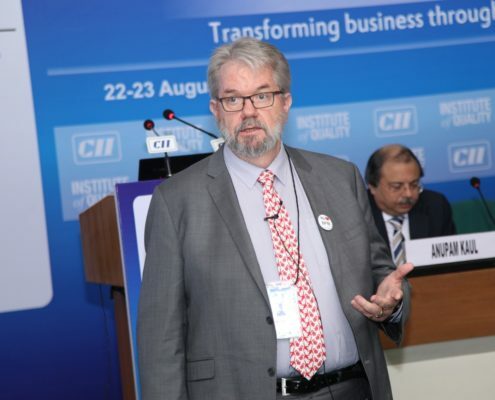 The Conference would be anchored and led by Mr. Roger Tregear, BPM Guru, and evangelist who has been championing the movement globally for more than two decades through his highly innovative 7 Enablers and Tregear Circles. 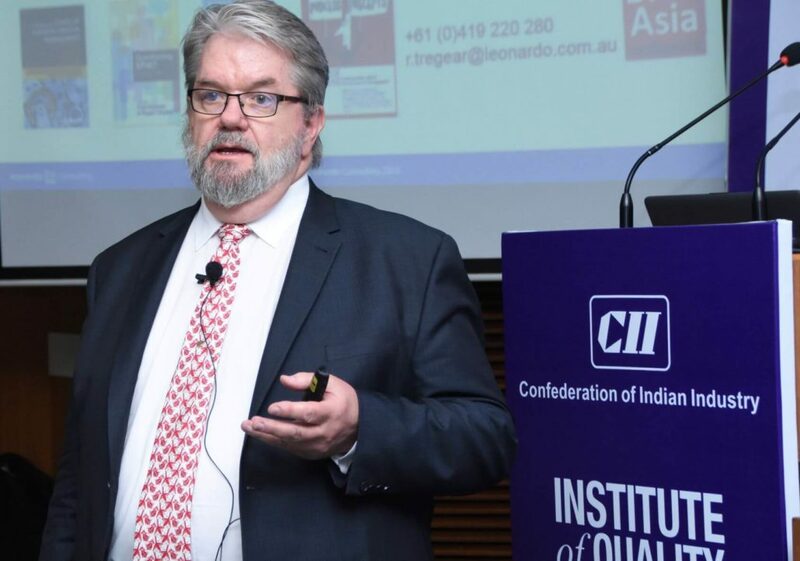 Roger consults top companies and delivers keynote talks at international conferences. 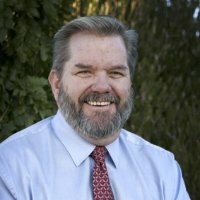 Roger is the author of Reimagining Management. 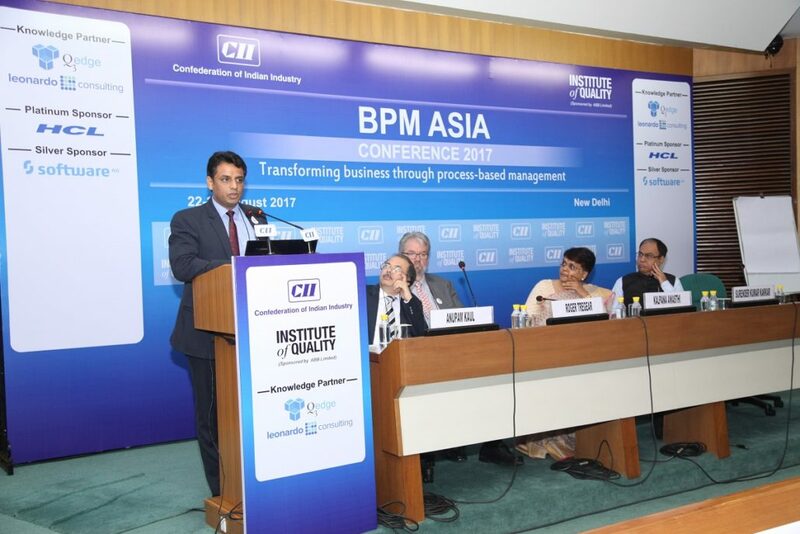 The BPM Asia Conference is a great opportunity for companies to present their products, services, and solutions to the industry experts. 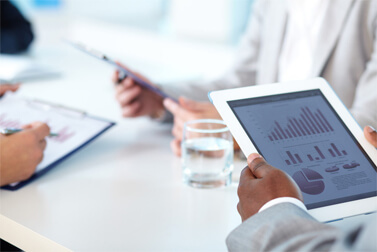 IT’s a place to put your business in the spotlight. 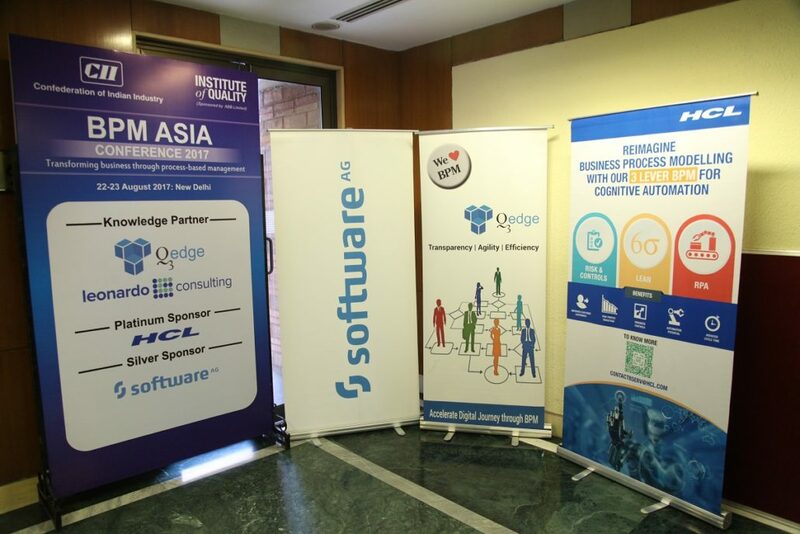 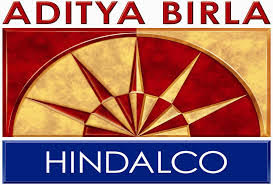 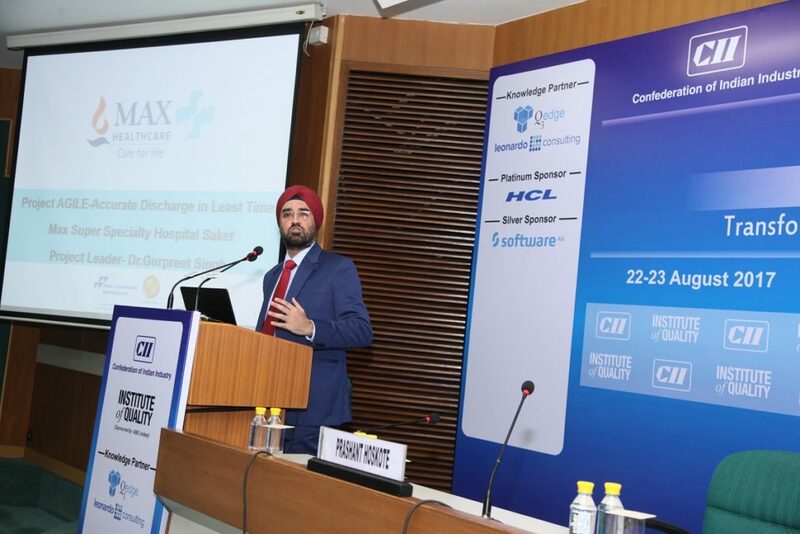 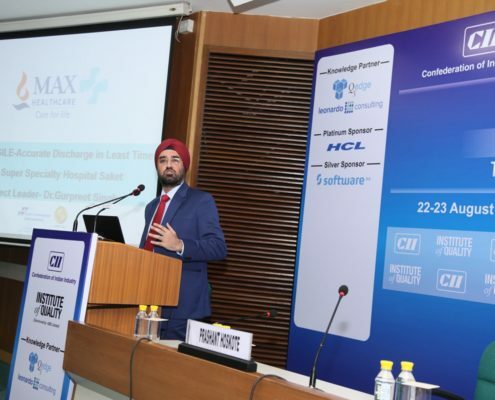 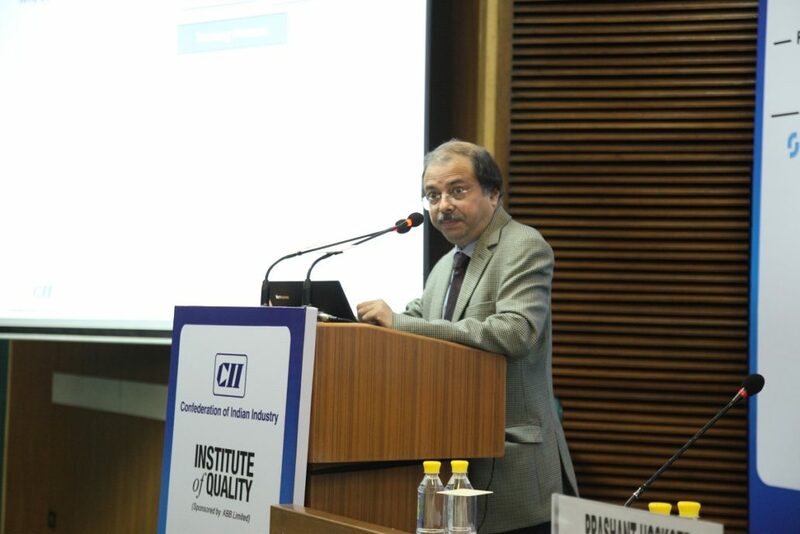 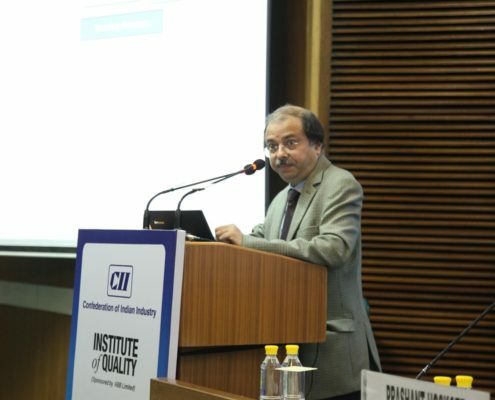 Sponsorship would entail high visibility among the participating companies and delegates as well as in the media outreach both preceding and following the Conference that will be seen by the large membership base of CII and a global contact list of Q3edge Leonardo Consulting. 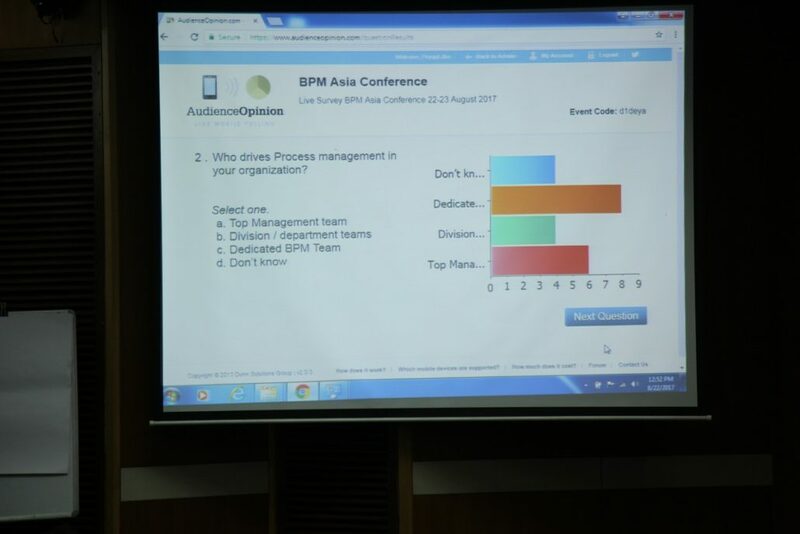 Roger Tregear – International BPM consultant, educator, author and coach.